In January, U2 frontman Bono was involved in a cycling accident in New York, and reportedly, may never play guitar again. 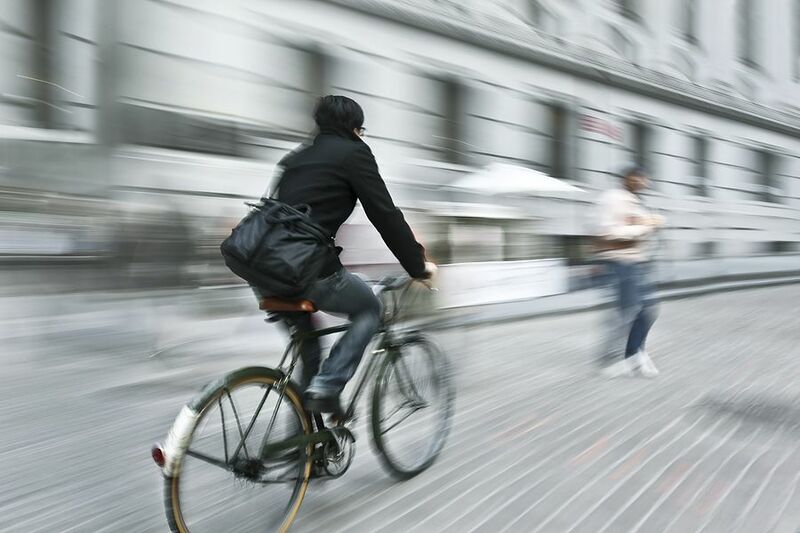 While this is an extreme case of the impact of a cycling accident, it’s a scenario played out regularly, with approximately 19,000 cyclists injured in accidents in the UK every year. While some will recover, others will experience long-term effects. Yet many don’t claim compensation. It’s been long recognised in Scots Law that if you’re injured and it was someone else’s fault, then the “wrong doer” should put things right. This applies to cyclists as much as anyone else. There are two main categories of accident. If you are involved in a collision with a vehicle, you should report it to the police, even if the driver accepts fault or your injury seems minor. As with a car accident, get the drivers’ name, address and insurance details and obtain the contact details for any witnesses. If your accident is caused by the road surface, report the incident to the person responsible for it, usually the local authority. Also take photographs of the defect which caused your accident and obtain any witness details. In either scenario, seek prompt medical treatment of your injuries and advise the doctor/nurse of the circumstances of the accident, and also consult a solicitor with a track record in dealing with cycling accidents. If you do decide to make a claim after an accident, your solicitor will write a letter of claim to the responsible party, with the intention that the responsible party passes it to their insurance company. The aim is to get to the point where the insurance company agrees to settle the case. At that point your solicitor will gather the information to value the claim. This will involve obtaining, for example, a medical report, details from your employer about any earnings you might have lost or vouching for your damaged bike, clothing etc. Once this information is recovered, your solicitor will guide you on what your case is worth and advise you on whether to accept or reject any settlement proposals which are made. If the insurance company’s proposals are too low or they won’t agree to settle your claim at all, your solicitor may suggest raising a Court action against the responsible party, although of these, only about 2% end up at a full Court hearing. Why bother? Aside from doing it to get your own life back on track and recover earnings you may have lost, making a claim also helps other cyclists. Sometime Councils will fix a pot-hole after a claim has been pursued, having had the defect drawn to their attention in a formal way. There’s no doubt that cycling is a healthy, positive, life-enhancing pursuit. Like most things in life, however, it has risks. The risks don’t mean avoid it, but if something adverse does happen to you and it is not your fault, it matters to you and the cycling fraternity in general that you don’t just accept it. Julie Harris is a partner and personal injury claims specialist at Allan McDougall Solicitors.